Fall or autumn along Cabot trail on Cape Breton, one of the best spots to photograph fall pictures. Autumn is a wonderful time to visit the Province of Nova Scotia. For Fall Pictures I recommend Cape Breton in the North. Looping around the northern tip of Cape Breton Island in Nova Scotia, this charming trail is 185 miles or 298 km long and runs through the Cape Breton Highlands National Park.The area boasts world class hiking opportunities and is a mecca for photographers especially those hunting for spectacular Fall Pictures. Make sure to see our selection of Fall and Autumn Pictures. 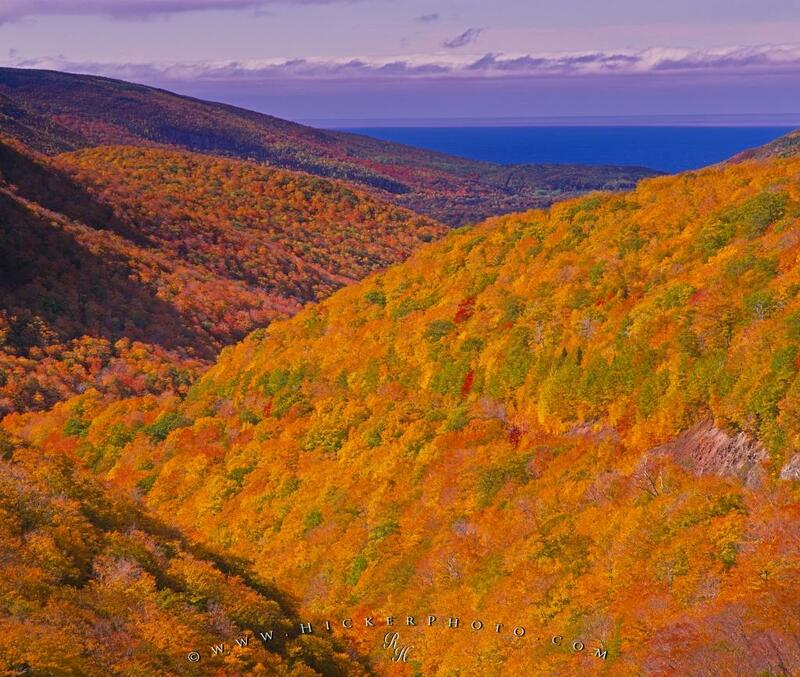 Photo of fall colors in Cape Breton Highlands National Park in Nova Scotia, Canada.